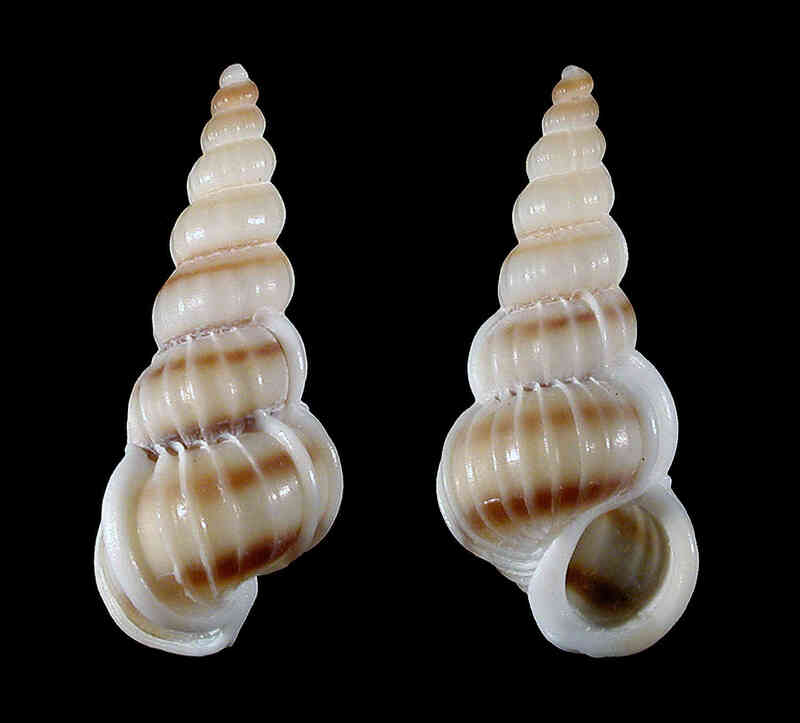 Shell size to 20 mm; shell elongate, with very thin, small costae. Thicker varices present interspersed among costae. Color cream or light brown, two spiral bands of darker brown color above and below periphery of whorl. Some specimens may be completely brown. Aperture white and thickened.